Students and alumni: Please send your paperwork to us directly at registrar@unthsc.edu or contact us. 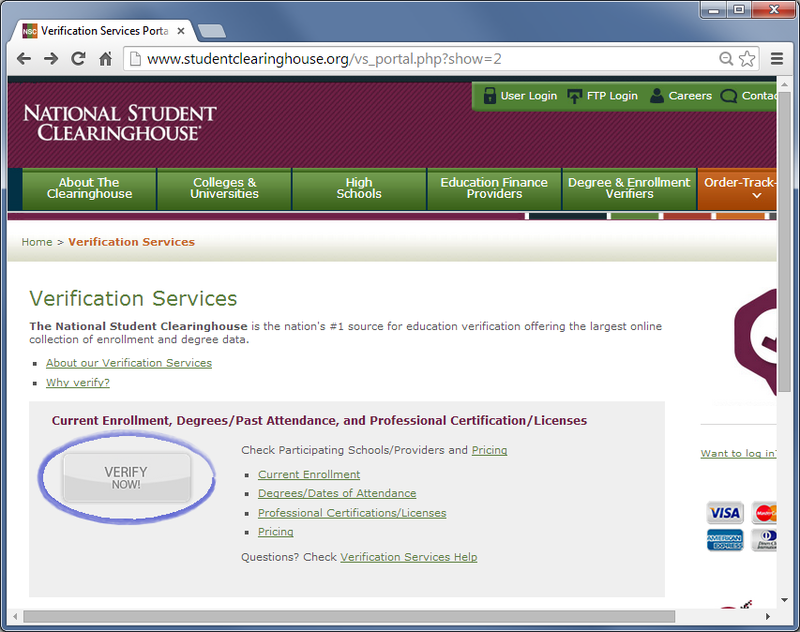 All requests by organizations, employers, and healthcare providers wishing to verify a degree issued by the University of North Texas Health Science Center, or to check the enrollment status of one of our students, are handled by the National Student Clearinghouse at www.degreeverify.org. This service provides the fastest verification. Telephoned, faxed, or mailed requests for verification will not be accepted. Please submit all verification requests at www.degreeverify.org. Using a modern web browser, visit www.degreeverify.org. Select the VERIFY NOW! button on the left side of the page. Specify what information is to be verified. Select the checkbox for Degree or School Certificate to verify a degree awarded by the University of North Texas Health Science Center, formerly the Texas College of Osteopathic Medicine. When a checkbox is selected, new input fields will appear. Select the green + icon to provide an additional name if the individual’s current name is different than the name appearing on the diploma or transcript. Complete the billing information requested by the National Student Clearinghouse and select the Continue button. 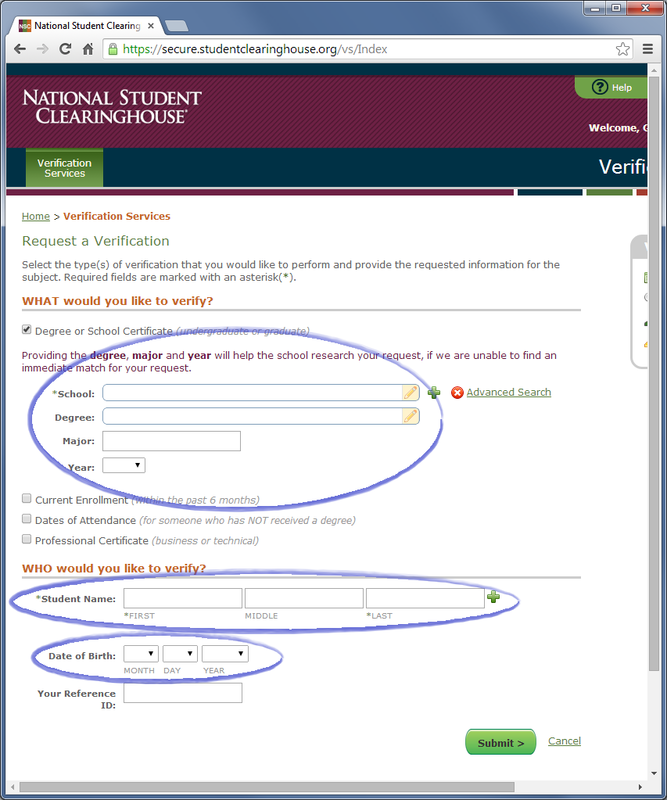 The National Student Clearinghouse cancels payments for verification requests that are declined. Complete the remainder of the request process and await a response form the National Student Clearinghouse either confirming or declining the verification requested. The University of North Texas Health Science Center processes all verification requests within two business days. 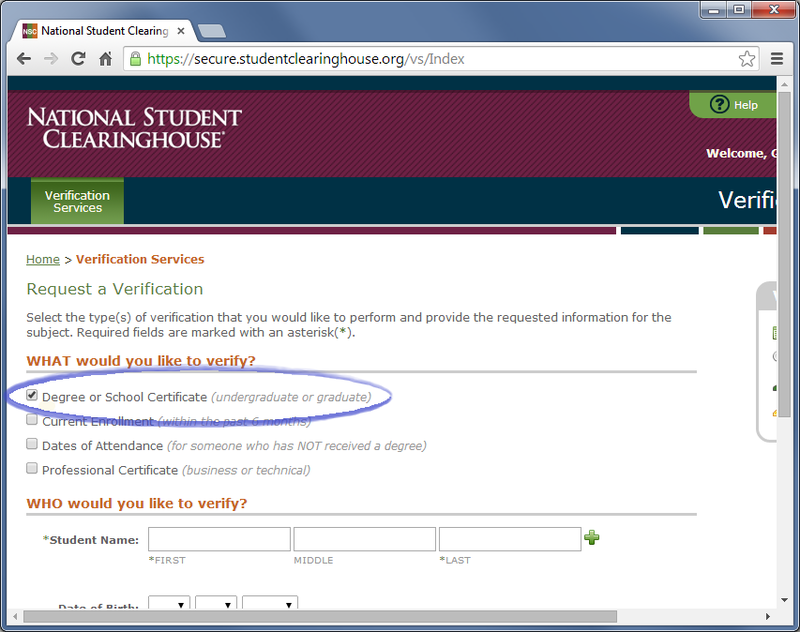 If we cannot verify a degree, the National Student Clearinghouse will cancel your payment. Additional assistance from the National Student Clearinghouse is available at 703-742-4200 or degreeverify@studentclearinghouse.org.